Tai Chi Gold Coast classes based on Tao philosophy and the harmony of Yin and Yang. 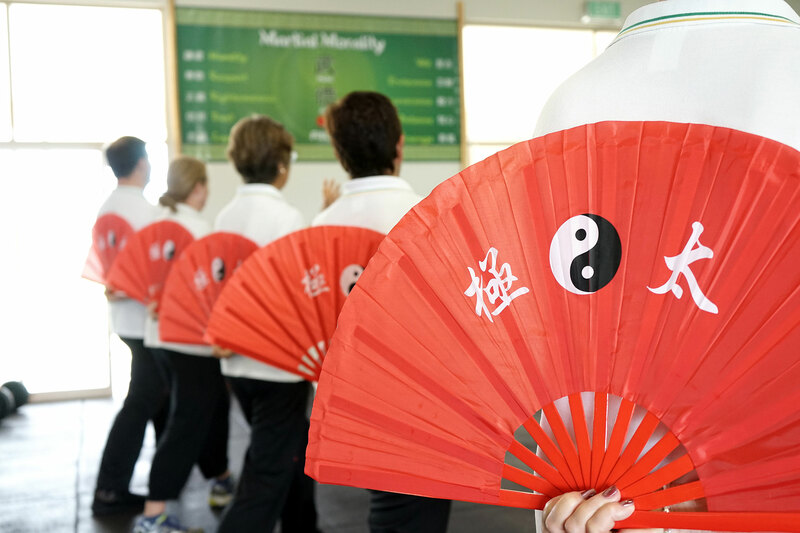 Tai Chi Gold Coast classes —are they for you? There is a prevailing misconception that Tai Chi is just for the elderly. Don’t let its gentleness fool you; Tai Chi Gold Coast classes will provide you with immeasurable benefits, regardless of your age. 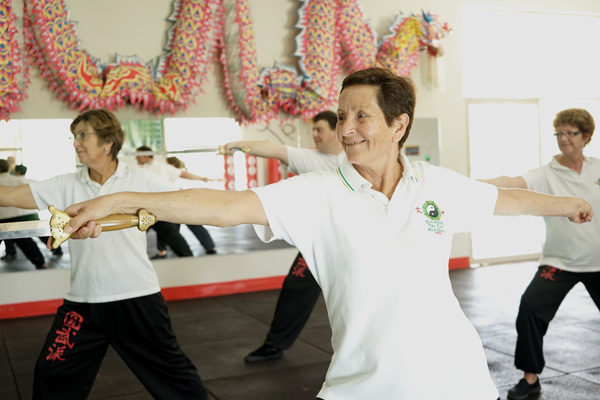 Take our regular Tai Chi Gold Coast classes for improved bone density, joint mobility, leg strength, improved concentration, a more flexible waist and a calmer mind. 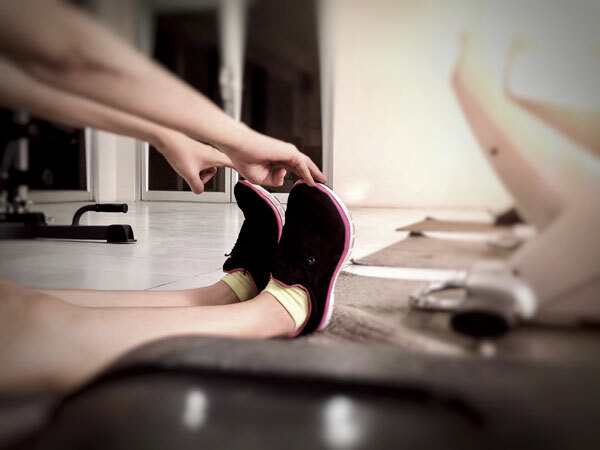 Work up a sweat while slowing your heart rate and improve your breathing via an increased lung capacity. Practicing martial arts? 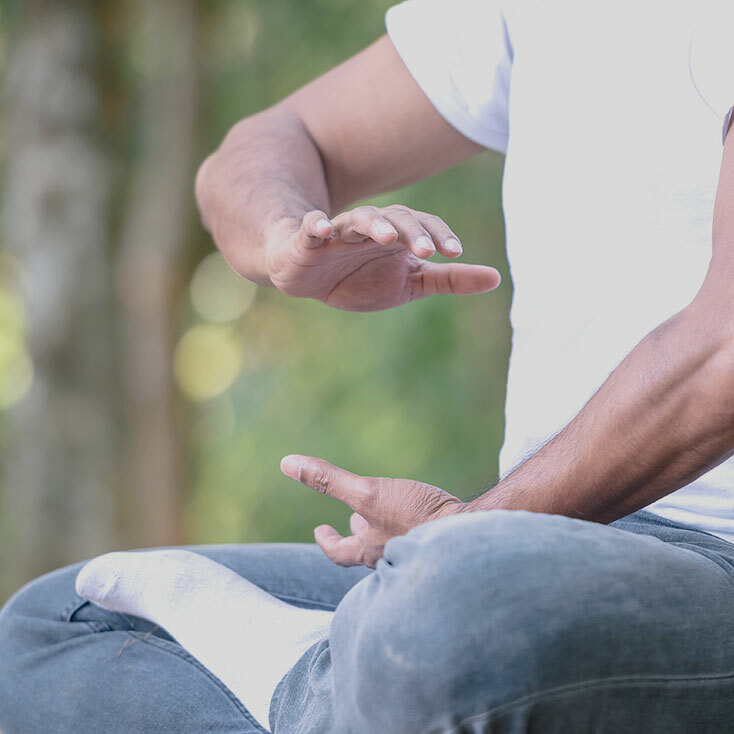 Our Tai Chi Gold Coast classes will improve your fighting ability by teaching you how to balance your body for maximum energy output, how to deal with oncoming force, and how to achieve external softness while maintaining internal hardness. Why should you start Tai Chi Gold Coast classes? 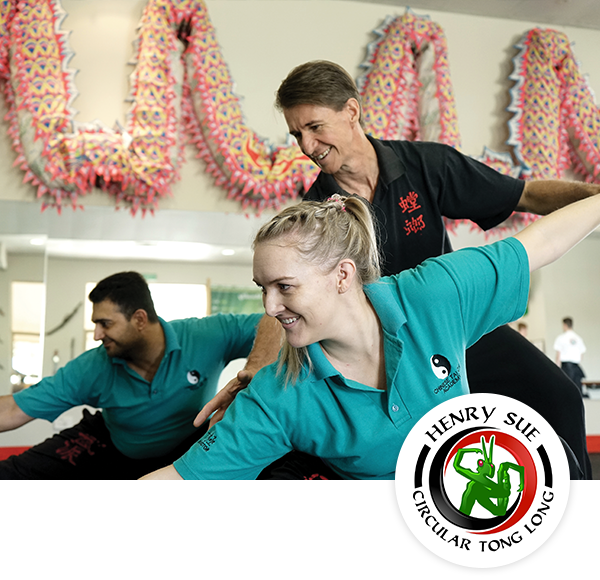 Where some external styles of martial arts may focus on generating strength from the arms and hands, our Tai Chi Gold Coast practice is characterised by an emphasis on generating strength from the legs and waist. While in itself it is a very slow practice, Tai Chi can enhance other martial arts practices by assisting you to develop a high level of balance and control. ‘Yang’ style Tai Chi leads with the body and the arms follow the turning of the waist. Within the ‘Chen’ style practice, there is a form that leads with the hands—the body following as though pulled and turned by the force of a strike. In both styles, the waist and lower back play a central role, teaching you how to use your whole body to attack. Easy to learn and an enjoyable practice, this program has been specifically created for anyone with arthritis, and for anyone wishing to prevent it. Gain a new level of self-awareness and invigorate your entire body without the risk of strain or injury with the soft art of Qigong. This practice encourages energy flow through your body and instils a sense of peace. FBased on the expertise of Kit Laughlin, creator of the Stretch Therapy™ system, our Flex classes also utilise methods from Chinese Dao Yin, Japanese Sotai and meridian stretches to improve your posture, flexibility and range of motion. Sifu and all the instructors are very knowledgeable and provide clear direction on the forms and training. Each lesson I learn and progress due to their guidance. Tai Chi has improved my posture and breathing and I've had less back and joint pain. I think others should train Tai Chi because overall well being is improved. I started learning martial arts to improve my self-defense skills and fitness. Since doing Tong Long these have improved, as have my self confidence in all situations, including work. I also have found that I have a greater sense of general wellbeing and have a more open mind to learning anything new. I have found our style is so unique, as it uses a combination of body mechanics and internal Qi to develop massive amounts of energy. It has always amazed me that everyone in the art, from our Sigung down, is so humble and gentle and teaches the students to use Tong Long as self defense. There are no bullies in this art. I love that the organisation is one big family, where people are always willing to help you learn and the depth of knowledge which can be learned is seemingly endless. My one regret about joining the Mudgeeraba Chinese Kung Fu Academy this year is I should have started 3 years ago when I first met Sifu and Sijair Toni. How much more advanced I would be now. Thank you all for welcoming me into your School in January 2010 and Wow! I have come a long way in these past few months. I feel energised and alive, something I haven’t felt in years, even after participating in other disciplines of exercise three and four times a week. I feel privileged to be taught by the dedicated Teachers within the School and feel honoured to be a part of the camaraderie and respect the students have towards each other and the enthusiasm for the teaching. I look forward with great anticipation to our Tai Chi and Qigong classes. If I feel this good after six months, imagine how I will feel after three years! Go the Grannies! I like the relaxation achieved during the form when it has been memorised and performed well. Tai Chi has benefited me by giving me a better understanding of energy, and how I can apply that to Kung Fu. If you are coming from Kung Fu you should train Tai Chi to achieve a deeper understanding of energy and your techniques, as our Sigung developed this style by fusing both Kung Fu and Tai Chi. Every time I train Tai Chi I am challenged to improve my practice; it is a constant process of learning and improving. My balance, body strength, stamina & bone density have improved over the last 3 years. I have learnt to have more control over my 'monkey brain'. The health benefits make it a worthwhile activity for all age groups. It is not a difficult thing to learn. Especially beneficial for people with over busy lives as it makes you focus on your practice and this is a wonderful exercise in mindfulness. Calming, stress reducing. I became interested in Tai Chi because, from what I could see, it was a form of moving meditation. And, sure enough, done with awareness, it is. For me, it’s not about learning new forms or about it being a martial art. Instead, it’s about perfecting the sequence of moves to better attain a state of harmony. I have been to other instructors and find that Marc Webster excels in imparting a balance of information pertaining to inner and outer technique. The fact that he is continually perfecting the art himself is a positive, because it means that the classes never become stagnant. Rather, they evolve as we do. Dear Marc, thank you for giving me back my energy. Since the last few months I have been attending the Academy doing Tai Chi and Qigong. I suffer from a rare neurological disorder that makes the muscles in my eyes, face, neck, etc cramp up. When I do your routines it provides me with the best relief, and also energy. It has given me my life back. Thank you so much, Marc. When I first came to train Southern Mantis, my main focus was to get fit again and learn a style of Kung Fu. And while I did just that, I found it had a lot more to offer than just learning how to fight. The Kung Fu training was hard, which kept me keen and focused. I noticed my energy levels at my work had increased and I felt generally healthier. This only got better as I started regular Tai Chi and Qigong classes. At first they were simply something to improve my Kung Fu, but they became much more. Again, I could feel the difference in my health. I felt much calmer and not as stressed. Finally, I also adopted a more positive attitude in general from the people around me, and a ‘can do’ approach to life.